Analysis: Savannah State University needs an approximate $1.7 billion endowment for all of its undergraduates to attend debt free. Located in Savannah, Georgia, one of the South’s most historic cities with an estimated population of 142 000. The city’s population demographics are almost 60 percent African American giving it dominant social and political numbers. However, as in most cases the economics do not favor African Americans and null much of the social and political leverage. 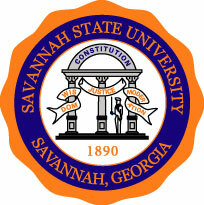 The most recent endowment numbers for Savannah State University show it to have a current endowment to needed endowment percentage of only 0.15 percent. Like almost all HBCUs the school needs enrollment growth, but for a peer-to-peer comparison it has a sizable population so the endowment size it somewhat a mystery. The halo effect that Atlanta should have on African American college graduates in Georgia should suggest a better fairing for their endowment. This suggest that there is possibly a disconnect between alumni and development. Savannah State University is in one of the premier locations in Georgia and the South. If location matters, then they need to make it a key point in their development strategy. It is one of those few schools that has the potential to skyrocket into the endowment conversation among HBCUs if it can find the right spigot to turn.